Difference between revisions of "Lord Maitreya"
Lord Maitreya holds the office of [[Cosmic Christ and Planetary Buddha]]. His name means “loving kindness,” and he focuses the radiance of the [[Cosmic Christ]] to the evolutions of earth. Guardian to the planet Earth from [[Venus (the planet)|Venus]], he succeeded [[Lord Gautama]] as Cosmic Christ when Gautama became [[Lord of the World]] at a [[Royal Teton Retreat|Royal Teton]] ceremony on January 1, 1956. Under the office of the Cosmic Christ, Lord Maitreya monitors potential earth changes as well as the comings and the goings of the fallen angels and the progress of the Christs incarnate. 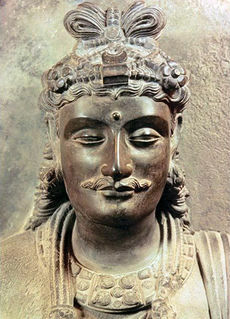 '''Lord Maitreya''' holds the office of [[Cosmic Christ and Planetary Buddha]]. His name means “loving kindness,” and he focuses the radiance of the [[Cosmic Christ]] to the evolutions of earth. Guardian to the planet Earth from [[Venus (the planet)|Venus]], he succeeded Lord [[Gautama]] as Cosmic Christ when [[Gautama]] became [[Lord of the World]] at a [[Royal Teton Retreat|Royal Teton]] ceremony on January 1, 1956. Under the office of the Cosmic Christ, Lord Maitreya monitors potential earth changes as well as the comings and the goings of the [[fallen angel]]s and the progress of the Christs incarnate. In the history of the planet, there have been numerous Buddhas who have served the evolutions of mankind through the steps and stages of the path of the bodhisattva. Lord Maitreya, the Cosmic Christ, has passed the initiations of the Buddha. He has come to the fore in this age to teach all who have departed from the way of the Great Guru [[Sanat Kumara]], from whose lineage both he and Gautama descended. In the history of the planet, there have been numerous Buddhas who have served the evolutions of mankind through the steps and stages of the path of the [[bodhisattva]]. Lord Maitreya, the Cosmic Christ, has passed the initiations of the Buddha. He has come to the fore in this age to teach all who have departed from the way of the Great Guru [[Sanat Kumara]], from whose lineage both he and Gautama descended. Maitreya is worshiped in Tibet, Mongolia, China, Japan and throughout Asia, where he is revered by Buddhists as “the Compassionate One” and as the coming Buddha. While Maitreya is accepted by all Buddhists, he does take on a variety of roles in different cultures and religious sects. These roles include the guardian and restorer of the Dharma; intercessor and protector; a guru who personally communes with, initiates and teaches his devotees; a messiah who descends when the world is in turmoil; a messenger sent by the Divine Mother to rescue her children; and the Zen Laughing Buddha. Maitreya is worshiped in [[Tibet]], Mongolia, China, Japan and throughout Asia, where he is revered by Buddhists as “the Compassionate One” and as the coming Buddha. While Maitreya is accepted by all Buddhists, he does take on a variety of roles in different cultures and religious sects. These roles include the guardian and restorer of the Dharma; intercessor and protector; a guru who personally communes with, initiates and teaches his devotees; a messiah who descends when the world is in turmoil; a messenger sent by the Divine Mother to rescue her children; and the Zen Laughing Buddha. This bag demonstrates the mystery of space and the miracle of space under the dominion of the Buddha. Its timelessness shows the Buddha’s mastery of segments of eternity, hence eternity itself, through the flame of Mother. Maitreya was himself a chela of [[Lord Himalaya]] ([[manu]] of the fourth root race) and has his own [[Maitreya’s Retreat in the Himalayas|Focus of Illumination in the Himalayan Mountains]]. He was the guru of twin flames in the [[Garden of Eden]], which was a [[mystery school]] of the [[Brotherhood]]. The Mystery School of Eden, located on [[Lemuria]] near where San Diego is today, was the first mystery school on planet Earth. And Maitreya, referred to as the Lord God in Genesis, was its first hierarch. Maitreya was himself a chela of [[Lord Himalaya]] ([[manu]] of the fourth root race) and has his own [[Maitreya’s retreat in the Himalayas|Focus of Illumination in the Himalayan Mountains]]. He was the guru of [[twin flame]]s in the [[Garden of Eden]], which was a [[mystery school]] of the [[Brotherhood]]. The Mystery School of Eden, located on [[Lemuria]] near where San Diego is today, was the first mystery school on planet Earth. And Maitreya, referred to as the Lord God in Genesis, was its first hierarch. Since the expulsion of man and woman from the Garden of Eden because of the misuse of the sacred fire in the incorrect application of free will, the Great White Brotherhood has maintained mystery schools and retreats that have served as repositories for the knowledge of the sacred fire that is vouchsafed to twin flames when they have demonstrated the discipline necessary to keep the way of the Tree of Life. The [[Essenes|Essene Community]] was a repository for certain of the ancient mysteries as was the school at [[Crotona]] conducted by [[Pythagoras]]. The long-awaited “Coming Buddha,” Maitreya has indeed come to reopen his Mystery School to assist Saint Germain and [[Portia]], twin flames of the [[seventh ray]] and hierarchs of [[Aquarius]], to usher in the New Age. On May 31, 1984, he dedicated the [[Heart of the Inner Retreat]] and the entire [[Royal Teton Ranch]] to the path and teaching of the Cosmic Christ in order that those who departed from his tutelage, going the way of Serpents (the fallen angels who led Eve astray), might be restored and the children of the light follow the Son of God in the regeneration. The long-awaited “Coming Buddha,” Maitreya has indeed come to reopen his Mystery School to assist Saint Germain and [[Portia]], twin flames of the [[seventh ray]] and hierarchs of [[Aquarian age|Aquarius]], to usher in the New Age. On May 31, 1984, he dedicated the [[Heart of the Inner Retreat]] and the entire [[Royal Teton Ranch]] to the path and teaching of the Cosmic Christ in order that those who departed from his tutelage, going the way of Serpents (the fallen angels who led [[Eve]] astray), might be restored and the children of the light follow the Son of God in the regeneration. As well as his [[Maitreya’s Retreat in the Himalayas|focus in the Himalayas]], Maitreya maintains an [[Maitreya’s retreat over Tientsin, China|etheric retreat over Tientsin, China]], southeast of Peking (Beijing). With Lord Gautama he also teaches students seeking to graduate from earth’s schoolroom at the [[Shamballa|Eastern]] and [[Western Shamballa]] and at the [[Royal Teton Retreat]]. As well as the Focus of Illumination, his retreat in the Himalayas, Maitreya maintains an etheric retreat over Tientsin, China, southeast of Peking (Beijing). With Lord Gautama he also teaches students seeking to graduate from earth’s schoolroom at the [[Shamballa|Eastern]] and [[Western Shamballa]] and at the [[Royal Teton Retreat]]. As the sponsor of twin flames, he is the friend of all initiates of the sacred fire. When called upon, he will give the illumination of the Christ and the strength of the Word to pass the initiations that come under his sponsorship. Lord Maitreya holds the office of Cosmic Christ and Planetary Buddha. His name means “loving kindness,” and he focuses the radiance of the Cosmic Christ to the evolutions of earth. Guardian to the planet Earth from Venus, he succeeded Lord Gautama as Cosmic Christ when Gautama became Lord of the World at a Royal Teton ceremony on January 1, 1956. Under the office of the Cosmic Christ, Lord Maitreya monitors potential earth changes as well as the comings and the goings of the fallen angels and the progress of the Christs incarnate. In the history of the planet, there have been numerous Buddhas who have served the evolutions of mankind through the steps and stages of the path of the bodhisattva. Lord Maitreya, the Cosmic Christ, has passed the initiations of the Buddha. He has come to the fore in this age to teach all who have departed from the way of the Great Guru Sanat Kumara, from whose lineage both he and Gautama descended. In Chinese Buddhism, Lord Maitreya is sometimes portrayed as the “Hemp-bag Bonze.” (A “bonze” is a Buddhist monk.) In his role, Maitreya appears as a plump, jolly, pot-bellied Laughing Buddha. 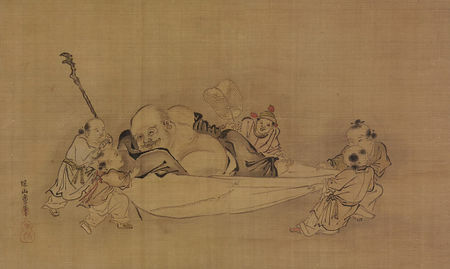 He is often shown sitting and holding a sack, with happy children climbing all over him. To the Chinese, he represents prosperity, material wealth and spiritual contentment; the children represent the blessing of a large family. One feature of his appearance singled him out—he carried a hemp bag wherever he went. Into this bag was deposited whatever he received, and for this reason, the bag became an object of intense curiosity, especially among the children. They would chase him and climb all over him, and force him to open his bag. On such an occasion he would place the bag on the ground, empty the contents one by one, and just as methodically put them back into the bag. The expressions attributed to him were all enigmatic and exhibit [Zen] characteristics.... Once a monk asked him about his bag; he replied by placing it on the ground. When asked what this meant, he shouldered the bag and went away. Once he was asked how old the bag was, and he replied that it was as old as space. Lord Maitreya and Lord Gautama were the first from among mankind to respond to Sanat Kumara’s magnetic pull to face God and to return to that divine estate in which man had first been created and which he was destined to outpicture in the world of form. The time came when the one who had served the earth as her Planetary Buddha chose to return to his own planetary chain, leaving a vacancy in this office for one from among earth’s guardians to fill. Lord Maitreya applied for the initiations necessary to qualify for this office. Centuries of self-discipline, of training, of devotion and of mastery were required in order for him to attain his present stature. His colleague through all of these classrooms of experience was Lord Gautama, who, by a margin won the buddhic degree first, while Lord Maitreya was accorded the office next in line—that of World Teacher. As World Teacher, his mission was to design for each two-thousand-year cycle the specific type of spiritual instruction most required for the human race for that period. Whenever there was a readied and willing instrument, he was to act as mediator, polarizing the atoms of the four lower bodies of that lifestream, so that the divine plan of that one’s individualized I AM Source might flow through its instrument, outpicturing in the world of form the works of a Christ. Lord Maitreya is the teacher of Jesus, who, with Kuthumi, now holds the office of World Teacher. Maitreya demonstrates on behalf of an evolving humanity the cosmic consciousness of the Christ in all areas of human endeavor and its universality throughout cosmos. He is known as the Great Initiator and was, in fact, the initiator of Jesus in his individualization of the Christ flame in his final embodiment as world saviour and exemplar of the way, the truth and the life to all aspirants on the path of personal Christhood. Maitreya was himself a chela of Lord Himalaya (manu of the fourth root race) and has his own Focus of Illumination in the Himalayan Mountains. He was the guru of twin flames in the Garden of Eden, which was a mystery school of the Brotherhood. The Mystery School of Eden, located on Lemuria near where San Diego is today, was the first mystery school on planet Earth. And Maitreya, referred to as the Lord God in Genesis, was its first hierarch. Since the expulsion of man and woman from the Garden of Eden because of the misuse of the sacred fire in the incorrect application of free will, the Great White Brotherhood has maintained mystery schools and retreats that have served as repositories for the knowledge of the sacred fire that is vouchsafed to twin flames when they have demonstrated the discipline necessary to keep the way of the Tree of Life. The Essene Community was a repository for certain of the ancient mysteries as was the school at Crotona conducted by Pythagoras. Following the sinking of Lemuria and Atlantis, the mystery schools that had been established there were relocated in China, India and Tibet as well as in Europe, the Americas and the Pacific fire ring, where they were maintained for thousands of years until, one by one, they were overrun by the hordes of darkness. Wherever these schools have been destroyed, the ascended masters who sponsored them withdrew their flames and sacred shrines to their retreats on the etheric plane. 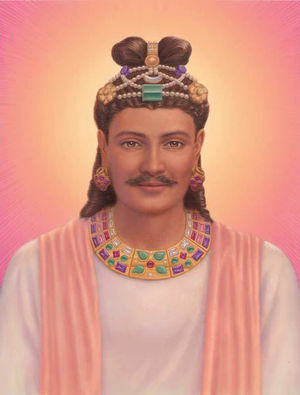 Here their disciples are trained between embodiments and in their finer bodies (during sleep or samadhi) in order that they might attain that divine Self-knowledge that, until Saint Germain once again advanced it in the twentieth century, had not been available to mankind en masse in the physical plane for centuries. Maitreya has explained that in this time the outer world itself has become the retreat in which each man will take his initiations and, passing these, will gain his eternal freedom, his ascension in the light. The long-awaited “Coming Buddha,” Maitreya has indeed come to reopen his Mystery School to assist Saint Germain and Portia, twin flames of the seventh ray and hierarchs of Aquarius, to usher in the New Age. On May 31, 1984, he dedicated the Heart of the Inner Retreat and the entire Royal Teton Ranch to the path and teaching of the Cosmic Christ in order that those who departed from his tutelage, going the way of Serpents (the fallen angels who led Eve astray), might be restored and the children of the light follow the Son of God in the regeneration. As well as the Focus of Illumination, his retreat in the Himalayas, Maitreya maintains an etheric retreat over Tientsin, China, southeast of Peking (Beijing). With Lord Gautama he also teaches students seeking to graduate from earth’s schoolroom at the Eastern and Western Shamballa and at the Royal Teton Retreat. ↑ W. Y. Evans-Wentz, ed., The Tibetan Book of the Great Liberation (London: Oxford University Press, 1954) p. xxvii. ↑ Kenneth K. S. Ch’en, Buddhism in China: A Historical Survey (Princeton, N.J.: Princeton University Press, 1964), pp. 405–6. This page was last modified on 10 April 2017, at 12:51.